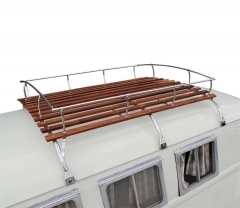 This is a truly stunning roof rack made in the original Westfalia style. 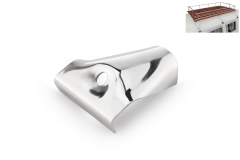 All parts are made from stainless steel. The cast upright arms, tubes, corners, clamps are all fully polished stainless steel that no other company currently offers. All parts are hand-polished for a deep shine. We normally ship the rack with the light or dark timber randomly. 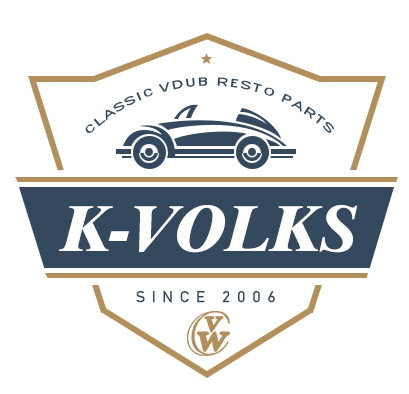 If you have any special requirement, please tell us when you place an order. 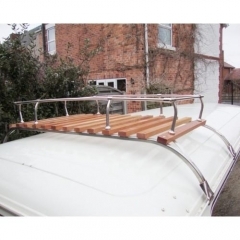 2 Bows Westfalia Roof Rack for Split Screen B..
3 Bows Westfalia Roof Rack for Split Screen B..